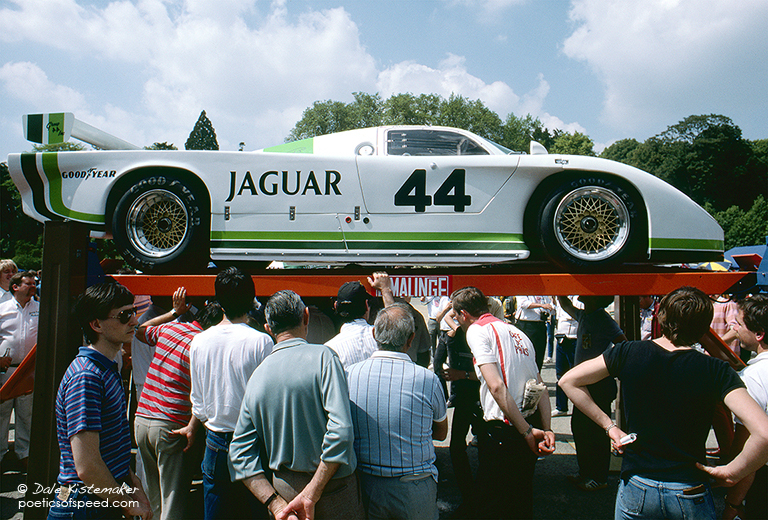 I love the tension and drama of the scrutineering of race cars at Le Mans. Competitors have vast amounts of time, effort and money invested in constructing their entries for the 24 hour race. They have solved the logistics of transporting the cars, spare parts, tools and support equipment, sometimes across oceans, and found housing and meals for the drivers and team personnel. But before they can place the cars on track for the first practice session the gauntlet of Vérification must be run. This technical inspection is set up in a large open space, La Place Des Jacobins, in front of the Cathedral in the heart of the city of Le Mans. Crowds line the area behind barricades because it is a chance to see the cars, drivers and teams up close. Racers are clever people always looking for a creative interpretation of the rules in the design and fabrication of their cars. But in the inspection every measurement is critical. A simple miscalculation can add a millimeter or few grams too much or too little and then all that work getting here is for nothing. There can be arguments, sometimes quite heated, but until that official sticker is issued and placed on the car nothing is for certain.